When assessing their own cooking skills from fair to excellent, age and years of cooking experience don't necessarily translate into a higher skill level in the minds of U.S. homemakers, according to the 2011 NPD Group's Kitchen Audit study of 2,700 U.S. respondents, released in December. Conducted every three years, the 7th Kitchen Audit queries homemakers to determine what food ingredients they have on hand, what appliances, cookware, and utensils they own and use, and their recipe sources. Only a small percentage of homemakers, across all age groups, rate their cooking skills as excellent in this latest audit. Sixteen percent of 55 to 64-year olds rate their skills as excellent, while only 10 percent of 25 to 34-year-olds did so. Some 60 percent of homemakers (ages 25-34) and 57 percent (ages 35-44) rated their cooking skills as very good, compared to 50 percent of homemakers (ages 45-54) and ages 65 and over, who also rated their skills at that level. 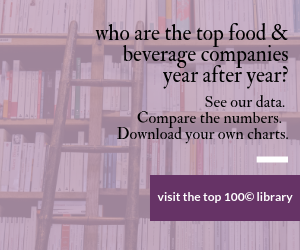 Four in 10 respondents use a recipe once a week or more to make any kind of dish, and a cookbook owned for more than two years is the top recipe source. Other findings include: One percent use a recipe from a mobile phone app once every two to six months; 20 percent own a pressure cooker; and 55 percent of households have cheddar cheese "on hand now." "Food and appliance manufacturers use Kitchen Audit primarily for product development and recipe development," says Dori Hickey, director, product management, whose team conducts the Kitchen Audit. "They will consider the homemaker's cooking skills self-assessment when developing recipes and future product and marketing strategies."